CINCINNATI – Who among us hasn't approached an ATM late at night to grab cash for food, wishing the machine dispensed piping hot pizzas instead of $20 bills? Well, hungry reader. Xavier University has heard your stomach's growl. The Pizza ATM is here. 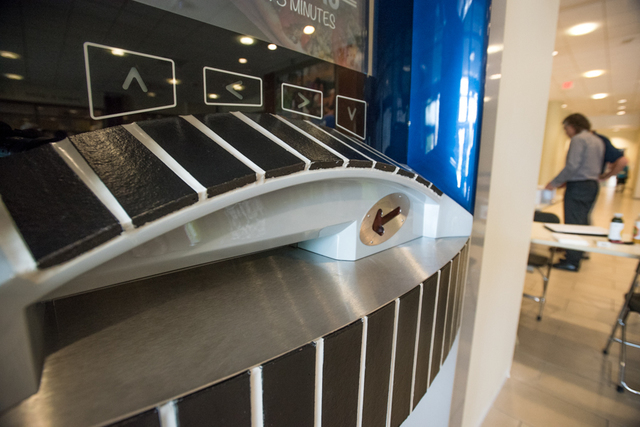 Xavier has partnered with France-based Paline to bring the first Pizza ATM to North America. It's being installed in the lobby of Fenwick Place just outside XU's Hoff Dining Hall and will be stocked with 70 pizzas at a time. Xavier University installed a Pizza ATM that will run 24/7 and will contain up to 70 freshly made pizzas at a time. Pizzas will cost $10 and will be cooked, sliced and boxed before popping out of the ATM in 3 minutes (Phil Didion for WCPO). If this conjures up images of vending machine pizza, think again. "It is the best pizza I've ever had, and I hate to admit that as a New Yorker," Jennifer Paiotti, marketing director of XU's auxiliary services, said. The quality stems from hands-on preparation by XU's dining hall staff coupled with the high-heat oven inside the ATM. Paline takes quality control seriously. They sent a French chef across the Atlantic Ocean to train five XU cooks for 40 hours each, forcing them to rethink the basics of pizza preparation. "It has completely changed the way we think about making pizza," said Jude Kiah, assistant vice president of auxiliary services, which oversees XU's food service. Production Manager Tim Belting said he and his staff had developed their own way of making pizzas for the dining hall's brick oven by trial and error. The pizzas were popular – they sold 125 a day – but they fell far short of the Paline chef's standards. "We weren't letting the dough rise long enough. The temperature was wrong, and we used pans instead of putting the pizza directly on the pizza stone," he said. They've seen the light and are making pizzas for their brick oven and for the Pizza ATM differently from now on. • Cooks prepare a vegan dough – don't worry, carnivores, pepperoni and sausage can be added later – and they let it rise for two days. • The hungry customer is greeted by a large touch screen, selects a pizza and pays by sweeping a student debit card or a credit card. • The machine moves the pizza to a disc, juke-box style, into the convection oven that's fired up to 475 degrees. When it's done, the pizza is placed in a cardboard box, which ejects through a slot. The result is a crisp crust with perfectly cooked toppings, promises Alec Verlin, Pizza ATM's product representative. "It's all about consistency. There's no more doing things by feel," Verlin said. The ATM will be quietly opened to the public on or about Aug. 10, ahead of grand opening scheduled for September. Fenwick Place's doors lock at 8 p.m., when the Pizza ATM becomes the sole domain of students and faculty who can buy a pizza on a whim through the wee hours. After-hours access is the Pizza ATM's sweet spot. Verlin said Paline's Pizza ATM's have been operating in Europe for 14 years, usually in small towns where restaurants close early, at gas stations or at pizzerias for 24-hour service. "It's an extension of existing business at no additional labor costs," he said. 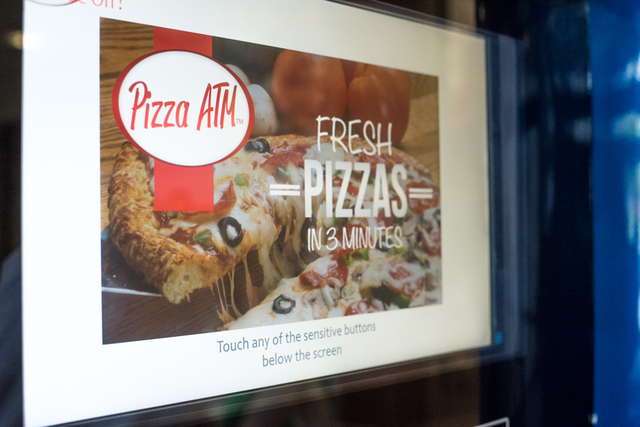 To that end, Paline and Xavier are banking on a rapid expansion of the Pizza ATM at campuses, gas stations and pizzerias across the United States, as well as Canada and Mexico. Anyone interested in having their own will have to come to XU to be trained and certified because the university has sole rights to certifying new operators in North America. And XU staff will be kept on its toes, too. Paline will send a chef back to Cincinnati every two years to renew XU's certification. Pizzas will come out of a slot on the front of the Pizza ATM in a box once they’re ready (Phil Didion for WCPO). Xavier has high hopes for its Pizza ATM, anticipating selling 300 pizzas a day at a regular price of $9 or $10. That price will vary, though, because the ATM is linked by the internet to a server at XU and one in France. In fact, Paline keeps track in real time of sales out of every Pizza ATM that's in service. Paiotti said XU will offer sales toward the end of the day if a lot of pies are left, and it will employ Twitter and Yik Yak quizzes to solicit feedback and drum up interest from students. "Even with a lower price point than what you'd pay for a medium pizza elsewhere, we are looking for a really good return," she said.